NewsCopter 7 was over the scene in the Bronx. WAKEFIELD, Bronx (WABC) -- Three people were injured, one critically, in a fire Monday morning in the Bronx. The fire burned through a building on Bronxwood Avenue in the Wakefield section. The blaze started on the first floor and extended through the structure. 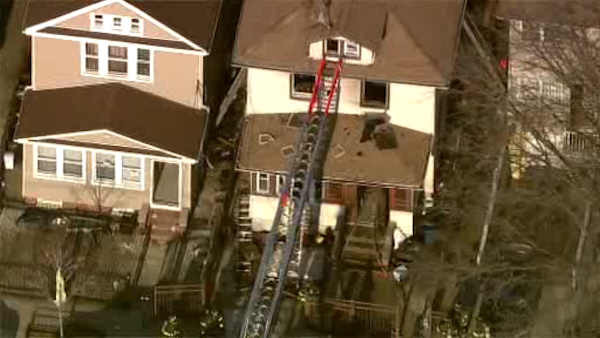 A 67-year-old woman is in critical condition at Montefiore Hospital following the fire. Two others in the house sustained minor injuries. The cause is under investigation but there is no criminality.